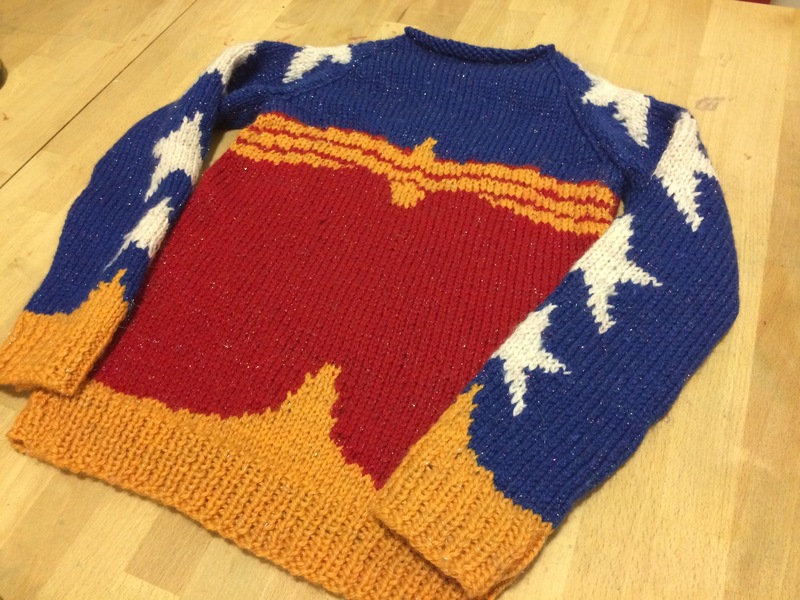 I finished the seaming of the Wonder Woman sweater, but didn’t make it to the collar knitting. I put the neck line on waste yarn and found that it does for the wee girl. What a relief! 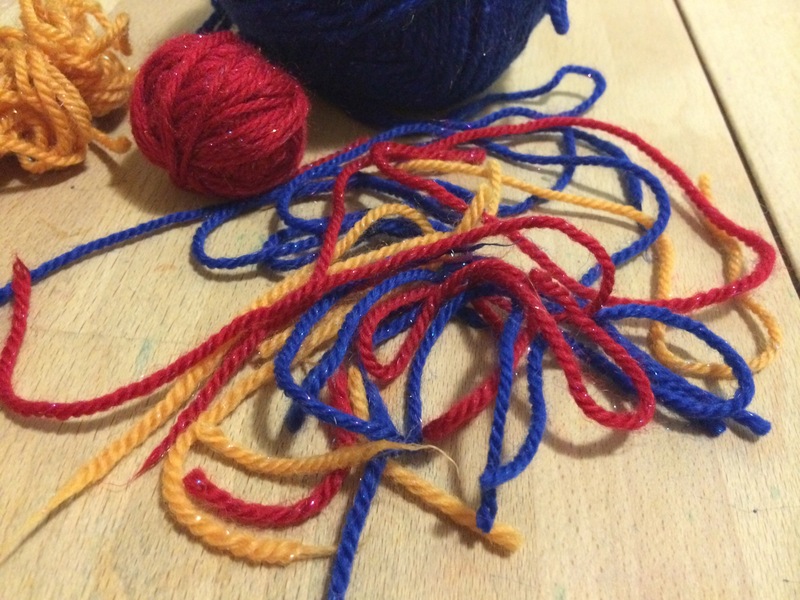 I was surprised at how many ends there were to weave in after seaming!